Radon is a naturally occurring gas that poses some serious risks to your health. Because of this, it is important to measure the radon levels in your home to keep you and your family safe. This article will help you identify the dangers of radon in your home. What is Radon and what are its Risks in the Home? Radon is a colorless and odorless radioactive gas. Since it is also invisible, you can only determine its presence in your home through radon testing. 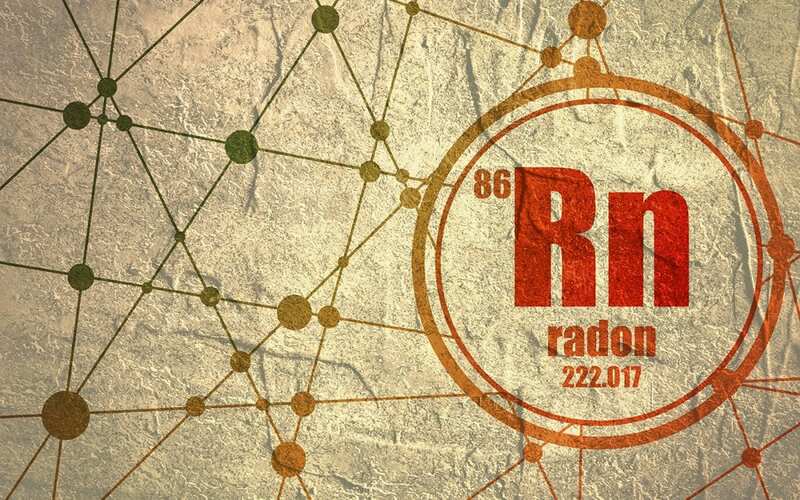 Radon is formed when radioactive metals like uranium, radium, or thorium are broken down underground, leaving radon behind in the soil and water. The gas then may enter your home through cracks and gaps in the foundation. It’s important to test your home for dangerous levels of radon in order to keep you and your family safe. How Does Radon Gain Access to Your Home? Openings and cracks in the foundation are the main entry points of radon into your home. This is because the air pressure underneath your residential property is higher than that in your home. This pressure difference forces the radon from underground to escape into the surrounding air. You may also find radon in water. If your water comes from sources like a lake, stream, or reservoir, radon escapes into the air before reaching your home. Underground sources such as wells, however, could be a concern. Radon can accumulate in groundwater and each time you turn on the taps, the gas is released into the air of your home. EPA estimates that 1 out of every 15 homes in the United States has high levels and increases the dangers of radon in your home. The EPA also estimates that about 21,000 lung cancer deaths occurring annually in the US are associated with radon. According to reports from the American Cancer Society, approximately 160,000 cancer deaths result from smoking. When a smoker is exposed to radon, the risks of lung cancer and eventual death are even higher. In the past, breast cancer was the leading cause of death among women. Today, lung cancer has surpassed it. Based on EPA reports, 2,900 of the reported 21,000 lung cancer deaths linked to radon occurred in nonsmokers. This means that radon can cause lung cancer whether you’re a smoker or a nonsmoker. All this information provides a clear link between residential radon exposure and lung cancer. To keep your family safe, you should regularly have a professional test for dangerous levels of radon gas in your home. American Building Inspectors provides radon testing and other inspection services to the Greater Philadelphia area. Contact us to schedule your appointment and protect your family from the dangers of radon in your home.